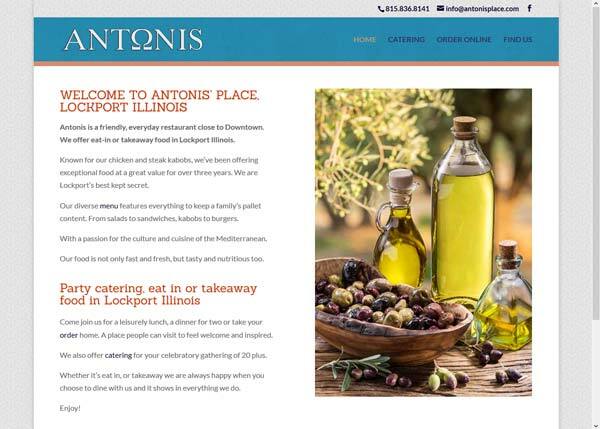 This restaurant website design was completed for Antonis Place, a Greek restaurant near Chicago. They were looking for a sharp but simple design. I particularly love the background pattern used in this site. The lovely, bright colour scheme wich I laced throughout the site was created by Steve Jones at SGJ Design Studio.